Brain damage. 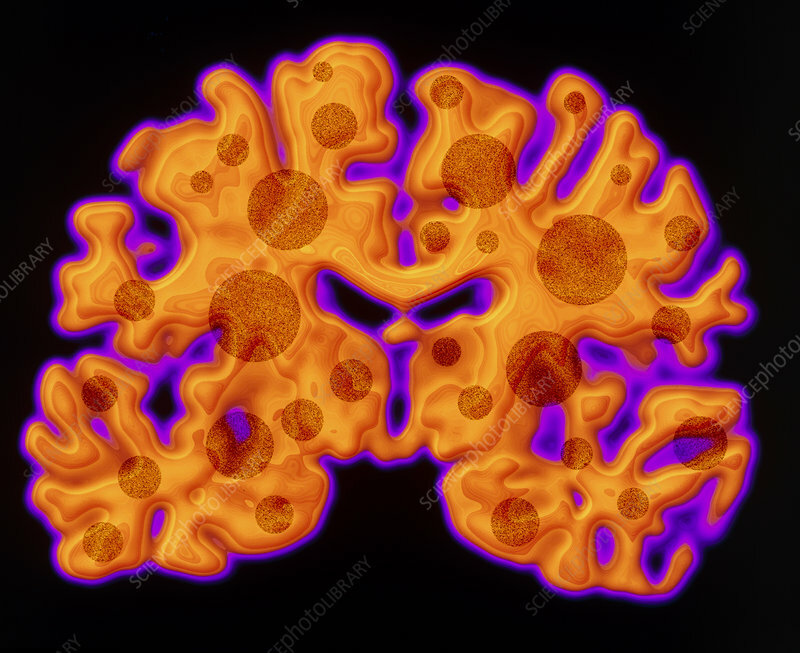 Conceptual computer illustration of brain damage depicted as spots in a coloured computed tomography (CT) scan of a human brain. The spots represent areas of brain destruction. Loss of brain tissue is linked to the decline in mental functioning seen in Parkinson's disease and forms of dementia such as Alzheimer's disease.